If you take part in events using SPORTident timing, it is now the perfect time to purchase the SIAC and speed up your sport. A new colour is also available - Energetic Red. 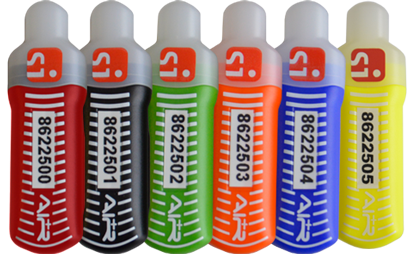 SIACS were used at the World Orienteering Championships in Scotland for every event and the athletes loved them. MTB Enduro is another major sport which has embraced SPORTident Air+ and SIACs have been used faultlessly at 3 rounds of the Enduro World Series with more than 1200 competitors. When should you change a SPORTident Station Battery? 28 Mar 2019 - A new version of SiTiming, our Timing/Results software, has been released. It is available via our SiTiming page. 15 January 2019 - A new version (2.4.0) of SPORTident Config+, the software used to manage your SPORTident equipment (Configure devices, read device storage, update firmware and more) has been released and is available via our downloads page. Feb 2015 - A new version the USB driver (6.7), the software used to enable the PC to communicate with a master station, has been released and is available via our downloads page. October 2016 - A new version of SPORTident Config+ has been released and is available via our downloads page. Please use it to upgrade all SPORTident stations (except the old BS3/4/6) to the latest firmware. May 2015 - A new version of SPORTident Config+ has been released and is available via our downloads page.